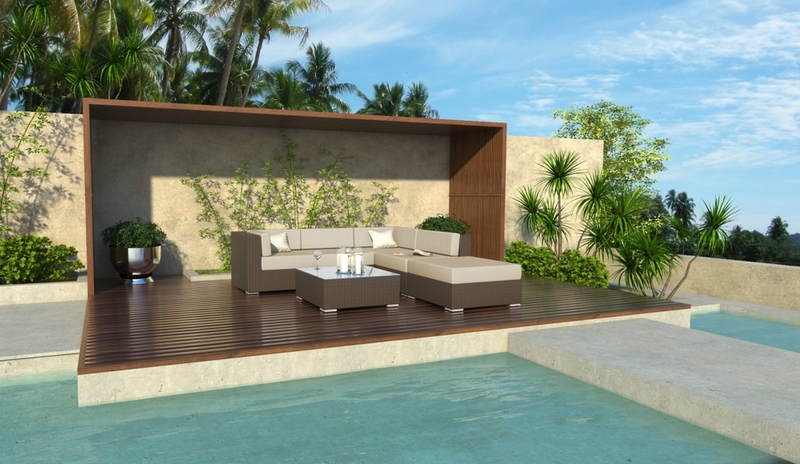 Halsted is a six piece wicker outdoor sectional set that seats four and comes with a wicker coffee table topped with glass, and a wicker ottoman. 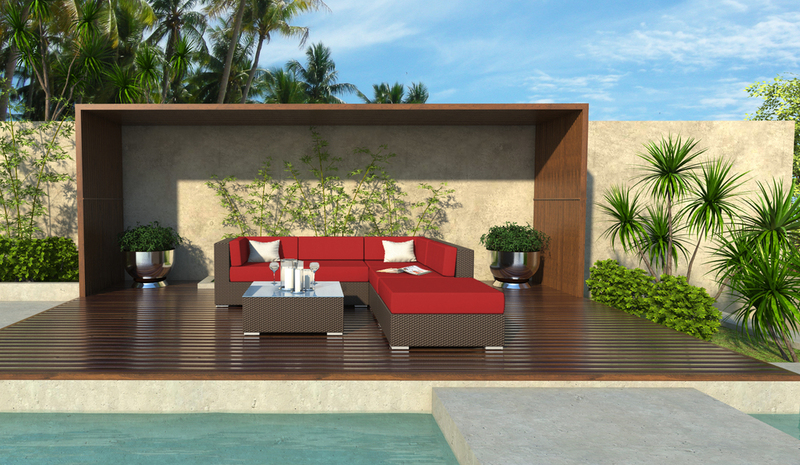 Halsted is our six piece wicker sectional set that features an L-Shaped sectional couch that can seat five, and comes with a wicker coffee table topped with tempered glass. 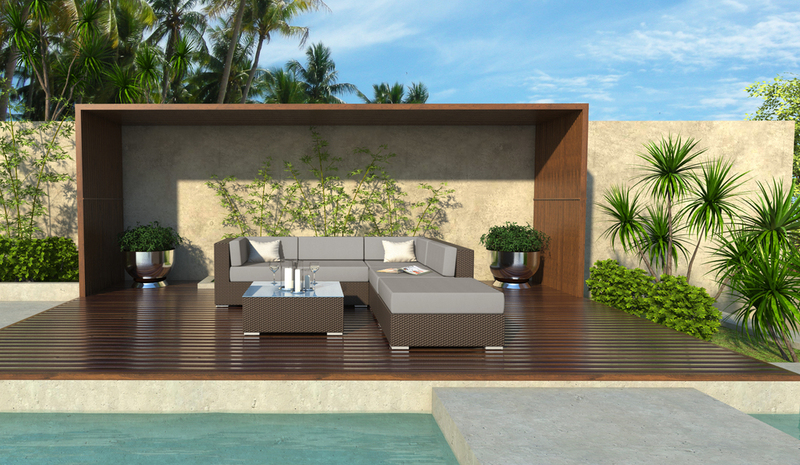 All of our outdoor sectional furniture is modular. 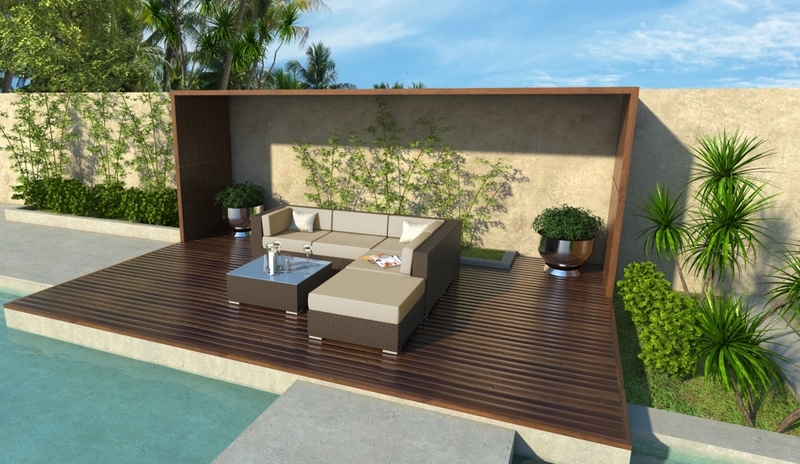 Mix and match sets, or purchase single pieces to make your patio furniture truly your own.